Switzerland in 2003 officially recognized the Armenian Genocide and passed a law criminalizing its denial. Doğu Perinçek, a Turkish politician, in 2005 traveled to Switzerland and while there, he issued declarations impugning the Armenian Genocide as a fabrication. In 2007, Perinçek was found guilty of deliberately violating national law and convicted by the court of Lausanne. Upon Perinçek’s appeal, the European Court of Human Rights ruled in his favor in 2008 and found that the court of Lausanne had violated the freedom of expression principle of Article 10 of the European Convention of Human Rights. 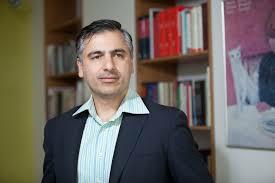 internationally renowned Human Rights Lawyer, Payam Akhavan to combat the court’s ruling of December 17, 2013. The court, while pointing out that it was not called upon to rule on either the veracity of the Armenian massacres, or the appropriateness of legally characterizing those acts as “genocide”, nevertheless, asserted its doubt that there could be general consensus about such events. If the ECHR ruling stood, it would perpetuate anti-Armenianism in Turkey. While citing the right for freedom of speech, the ECHR made a highly debatable ruling questioning the reality of the Armenian Genocide. The material The Zoryan Institute presented, in the form an an Amicus Brief, helped convince the Court that the reality of the Armenian Genocide should have not been dealt with by the court.